Many people have written the past few months asking that I put together a collection of tips for BeerSmith 2. 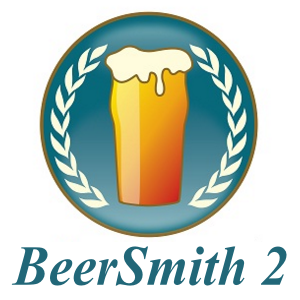 I launched BeerSmith 2 in June and it has been very popular with both new and existing brewers. So this week I present a set of 10 tips for making the most of BeerSmith 2. Build Your Own Equipment Profile – If I had to pick one item that causes the most trouble for new users it is creating that first equipment profile to match their specific equipment. In BeerSmith, the equipment profile defines how large your equipment is, what its efficiency and losses look like and what your target batch and boil sizes are. Having accurate numbers in this profile drives all of the calculations to estimate recipe bitterness, gravity, color, etc… so it is very important! Here’s an article and video tutorial on building a custom profile. Hold the Shift Key to Open a New Window – BeerSmith 2 users love the new tabbed interface, but if you hold down the shift key when opening a new recipe or tool you can make that tool or recipe appear in a separate window. This is great for doing side-by-side comparisons or working on large screens. Enter Units in Any Field – BeerSmith 2 has a unit converter built into every field. So if you enter “3 kg” in a field as a grain weight the program will convert your 3 kilograms to pounds. Enter “85 C” in as your temperature and the program will convert it to Fahrenheit. You can even enter complex weights like “3 lb 5 oz” and BeerSmith will convert it to the equivalent decimal weight. You can also change default units used by the program from the Units tab on the Options command. Grab some Add-Ons – The new add-on button lets you download new ingredients and recipes directly from the internet in just a few seconds. We have a large number of vendor specific grains, as well as a growing number of recipe packs you can download with the click of a button. If you want to create your own recipe pack or ingredient add-on (a great way to promote your site or brand!) just use the Contact-Us button and I can help you get your add-on listed. Try The New Water Profile Tool – The new water profile tool makes it really easy to adjust your local water profile to match waters from around the world. Open the tool, select your local water as the base, and pick a target profile. Next click on the “Calculate Best Additions” and BeerSmith 2 will automatically calculate the amount of each water minerals needed to best match the target water profile. If your local profile is too high in minerals, you can dilute it with some bottled water to make a softer profile. Take Any Recipe and Use It as Your Own – Once you have an accurate equipment profile for your setup, you can take any recipe off the internet or from our add-on recipe packs and scale it to match your own equipment profile for immediate brewing. Open the recipe you want to work with, select the “Scale Recipe” command and select your personal equipment profile as the new one. This will adjust all of the grains, hops and other ingredients to match your equipment settings and batch size. Try the New Yeast Starter Features – BeerSmith 2 has a new yeast starter standalone tool as well as a yeast starter tab embedded in each recipe that lets you estimate the starter size needed for liquid yeast based on age of the yeast and yeast packs used. If you have never been big on yeast starters, you really should give it a try as pitching at the proper yeast concentration can really improve your fermentation. Spend a Few Minutes with the Video Tutorials – For BeerSmith 2 I created a good set of video tutorials to demonstrate some of the most used features of BeerSmith 2. So if you don’t know where to start, or perhaps want to know how to use a more advanced feature check out the video tutorials. Customize your Design View – In the main recipe design tab for any open recipe you can adjust the fields displayed while working on your recipes. Use the “Select Fields” button in the bottom-right quadrant of the design tab to pick which fields you want to show. There are over 100 available. Keep Up to Date – I’m constantly improving BeerSmith – with formal releases from the main BeerSmith download page every month or two. Also I frequently post open beta versions of upcoming features to the BeerSmith discussion forum before they are published as formal releases. You can view the version of BeerSmith from your Help->About command (at writing, the latest build is 2.0.48) at any time and check for updates using the “Check for Updates” command on the Help menu. One final tip – you can use the “+-” button next to the image of a beer glass to add your own thumbnail picture of your brew after you brew it. 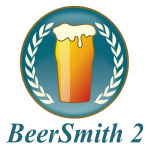 If you don’t have your copy of BeerSmith 2 you can grab it from our download page and try it free for 21 days. Thanks again for joining me and please subscribe if you want regular delivery of beer brewing articles to your inbox. hey, i have beersmith1…if i get beersmith2, can i transfer my recipes? Yes you can – either use the import wizard or just export your old ones and import them into the new version. There is a video on our videos section on how to import old recipes. I am new to both home brewing & Beersmith 2. I understand the importance of getting the equipment profile set up but right now I only use liquid extract (with steeped grains). Is there anything that can direct me as to which fields in the equipment profile I do/do not have to be concerned with? I am getting ready to brew an IPA & when I plug the recipe in Beersmith 2 the IBUs are way too high. Could this be a function of the equipment profile I set up? I like the fact that the program will allow me to adjust the amount of hops (for example) and get the IBUs back in line but if it is a matter of not having the correct profile I could be in trouble. Yes – you need accurate equipment settings. Go to the videos section and look at the video on creating your own equipment profile. I live in Sydney, Australia, and want to use the BeerSmith 2 water tool to manipulate water profiles for all grain brewing. But none of the base profiles match the profile of my local water source. Is there any way to create and save a new base profile, so that I can avoid entering the same numbers each time I want to tweak the water profile for different recipes? I use a Braumeister 20 l, do you have any tips for the equipment settings? I have added the Equipment (Add-Ons) And it have removed all of the preloaded Equipment profiles. Does anyone know how to retrieve these back into the program?